We are a leading Exporter of finned tubes for chemical industries from Chennai, India. We are the Leading Manufacturer, Supplier, and Exporter of wide range of Finned Tubes, Chennai, India, that are manufactured from high-quality materials as per industrial standards. 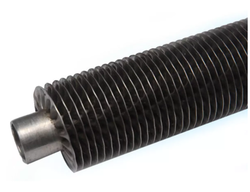 Our organization deals in the various types finned tubes that are used in different industries. Looking for Finned Tubes for Chemical Industries ?